It is said that if you throw a stone in Bangalore, it is more than likely to hit a techie. Well, Bangalore is a magnet that attracts innovators, techies, students and passionate professionals. In this burgeoning megapolis lives Anil Nair, a private banker. As he helps manage wealth for his clients, he is very conscious of his own too. As expected, Anil loves the city of Bangalore. It is not difficult to understand why — the beautiful weather. He has lived here for 10 years and Bangalore is home now. Anil lives with his family and loves to spend his weekends watching movies and shopping. Being a banker, he is very organized with his financial transactions. He prefers to use his credit or debit card as it is easier to track transactions. Where he gets flummoxed is when he pays cash. He tell us, “It is often so easy to just forget where the money you just withdrew from ATM went.” His pet peeves are those merchants who expect only cash and he hopes that 2-3 years down the line, he will not need to transact in cash at all. He relies on Money View to track his financial transactions. Anil is an avid online shopper. From buying electronic gizmos to apparel and even medicine, he is comfortable buying things online. One exception to this rule is when he goes to buy groceries etc. at discounted rates from the army canteen. Yes, Anil is an ex-soldier. A multifaceted personality certainly! About money, Anil believes in the mantra – Money begets money. Hence apart from paying the EMIs for his home, he also borrows money regularly from the market to invest. 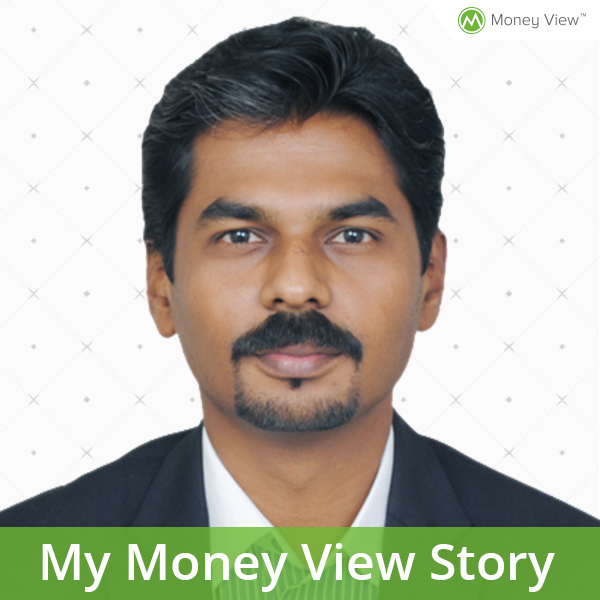 Since Anil is so conscious and organized in his finances it is no surprise that he is a Money View user. He chanced upon the App in the Google Playstore and it has been love at first download since then for him. Earlier he had an App that aggregated his financial transactions but offered nothing more. But after he got Money View he did not look back. He has had the App since 10 months now and can’t imagine not having it. With Money View, Anil has a clear snapshot of his spending patterns. He can note down his spends categorywise. He has a bird’s eye view of his spending and income and loves using the budget feature This way, he keeps complete track of his financial transactions. He also loves the fact that Money View App lets him pay his credit card bills from the App itself. So when he has a little free time, he logs in and gets done with his payments in a jiffy. He really appreciates this feature among many others. Anil loves to have his finances under control. He is delighted that he can do it with an App. He shared with us that recently he had to reset his phone. He lost some of his data but was relieved to see that all his financial data was intact in Money View. It is gratifying to see how Money View has made a tremendous difference to Anil’s life in providing him a Personal Finance Manager to help him manage his Finances efficiently. If you have a Money View story to share, do write to blog@moneyview.in and, you may end up getting featured on the blog!